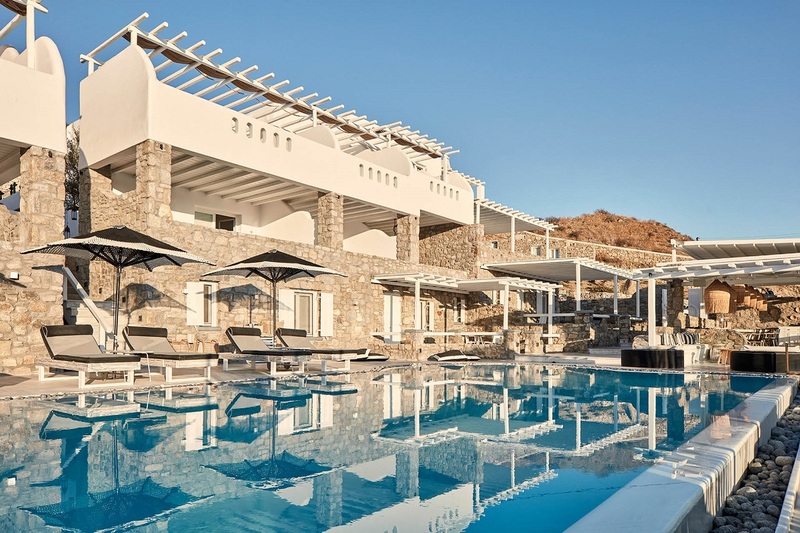 Luxury boutique hotel Mykonos No5, located on the popular Greek island of Mykonos in the Cyclades, is among the three properties that recently joined the WorldHotels Collection, an organization which consists of 350 independent hotels around the world. The organization also recently added a historical luxury hotel in the center of Paris and a modern city hotel in Singapore to its portfolio. With an experience of nearly 50 years, the WorldHotels delivers “soft brand” solutions and curates the some of the best independent properties around the globe, aiming to maximize revenue generation. Mykonos No5 is situated on a hilltop overlooking the Mykonos town, and offers privacy and exclusivity close to the crystal-clear waters of the popular beaches of Ornos and Aghios Ioannis. Featuring balconies that open to magnificent Aegean views, its rooms offer all the modern amenities. It is located only a few minutes away from Mykonos International Airport and the island’s ferry pier. The hotel is operating under the management of Greek consulting company HotelBrain. Founded by hoteliers dedicated to the art of hospitality, WorldHotels aims to help each hotel identify its unique set of assets that distinguish and elevate its guest experience and revenue generation performance from the competition.